Due to the nature of artificial grass when rolled and due to the structure of the artificial grass it may crease and may flatten slightly. Creases will fall out following installation (normally within three months) and any flattening will lift. The artificial grass shall be deemed not to be faulty if when delivered or installed there are creases within it or if it is flat. Love It Lawns will use its reasonable endeavours to reduce the appearance of the joins. However seams are occasionally visible due to the molecular structure of the product. This is unfortunately inevitable and can be influenced by a number of factors. Our warranty does not cover seam visibility. Artificial grass will in some circumstances curl, flatten and crush, the extent of this will depend on the extent of its usage and the amount of traffic passing on it. This shall be deemed not to be a fault. Protect heavy traffic areas – perhaps lay a paving slab or two directly under the stepping point from your home to take the initial impact from the step down. The initial step down can cause the artificial grass fibres to sit in different directions or go flat making it appear different from the rest of the area. Rotate equipment – Football goals, slides, trampolines, outdoor tables and chairs are also a high impact areas. We recommend moving these types of equipment from time to time to ensure even wear conditions on the artificial grass and brush the area with a stiff broom to stimulate the grass pile and freshen it up. it is normal for the artificial grass to sit flatter in these high use areas. Placement of decorative pieces in your garden – You need to consider whether there are any mirrors, shiny features or any glass adjacent to the artificial grass area The sun rays can be reflected and magnified onto the artificial grass could cause scorching. Therefore it is important that you, the customer, consider their placement is not in direct sunlight. Any such damage is not covered by the guarantee and repairs to scorched grass will be chargeable at our discretion. Artificial grass from different batches of manufacture may differ slightly in colour. Love It Lawns will supply in respect of any one order supply grass from the same batch. However, artificial grass supplied under different orders is unlikely to be from the same batch and therefore may differ in colour. Any such colour variation shall be deemed not to be a fault. The artificial grass supplied may differ slightly in colour from any samples sent and also from any samples shown on any website or promotional literature due to the limitations of reproducing images on the website or in such literature. Maintenance is required – Love It Lawns cannot guarantee that no weeds will grow in the surface or around the edges of any of their products. If weeds or moss do appear these can be removed safely either manually or by the use of any domestic weed/moss killer. In the case of dogs it will be necessary to clean the artificial grass with an artificial grass pet cleaner once a week to minimise any odours. While we can never say this will completely remove all odours it will greatly reduce any. All work carried out is GUARANTEED for a period of 2 years against faulty workmanship directly attributed by us. The exclusions to this are damage caused by natural causes i.e. Ground movement or storm damage etc. or damage caused by the customer or lack of maintenance after completion. 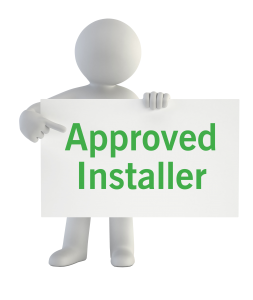 The customer shall ensure that once an installation date as been agreed in writing, the job can be carried out. Love it Lawns will ensure that the all attempts will be made to keep the agreed installation date however occasionally due to the weather, late deliveries and jobs just running over, it may be necessary for us to change the install date. If this is the case we will let you, the customer, know at our earliest opportunity. Prior to our arrival please ensure that parking for a van and trailer is available and that access to the garden is cleared to enable wheelbarrows and machinery to get to and from the garden. We also ask that you continue to mow your existing lawn as our machinery has problems getting through long grass. It is the obligation of you, the customer to inform us, Love it Lawns, of any electrical cables or pipework in the installation area that could be damaged by excavations or fixings. We will endeavour to identify such issues during a site visit but cannot accept liability for damaged caused if not previously notified. Love it Lawns bares no liability for any damage caused by invasive plants such as Japanese knotweed, bamboo or tree roots etc that might spread beneath the installed artificial lawn and cause material changes to the installation or damages to the artificial grass. Repairs to damage caused by invasive plants will be chargeable. SUPPLY ONLY ORDERS – It is the Customers responsibility to ensure that dimensions are correct before orders for grass are cut as we cannot replace bespoke cut rolls. If you do find you are short of grass it is not always possible to match grass from the same batch, although every effort will be made to do so. DELIVERY – The delivery date specified by Love It Lawns is provided for estimate purposes. Whilst every effort is made to meet customer expectations, time for delivery shall not be of the essence of the contact and Love It Lawns shall not be liable for any loss, costs, damages, charges or expenses caused directly or indirectly by any delay in the delivery of goods. Upon delivery of your order it is the Customers responsibility to check the grass for any faults, including damage caused in transit and notify Love It Lawns within 24 hours. If possible please send photos of any potential problems. If there are any problems with your delivery i.e. packaging or grass damage please mark the carriers paperwork as damaged and notify Love It Lawns asap. CANCELLATION – The customer has the right to cancel accepted work up to 14days after acceptance of works by email or in writing, apart from when the accepted works are to be installed within this period you will have deemed to have waived your cancellation rights by accepting the works. After the 14 days period, cancellation of accepted works will result in a 10% of the net total plus VAT, up to 14 days prior to install date. Within this time your grass will be supplied & full retail cost of your actual grass will be payable plus the 10% plus VAT above. Any order cut to size but not dispatched cannot be cancelled and no refund will be given. RETURNS – Where the product is faulty, or does not comply with any Contract, the customer must notify Love It Lawns within 7 days of delivery and the customer shall be entitled to replacement Goods or a full refund. Bespoke or cut to length items can only be returned if the product is found to be faulty. The price for Goods and/or Services shall be the price advised by Love It Lawns when the Order was placed. Prices in the quotation will remain fixed for 3months. Any additional works, goods or services that are required outside of those detailed in the quotation will be chargeable. However, any such work, goods or services will be discussed and agreed with the customer prior to any commencement of additional work. (ii) any delay caused by any instructions of the Customer in respect of the Goods or failure of the Customer to give Love It Lawns adequate or accurate information or instructions in respect of the Goods or the provision of the Services. Full payment is required on the day of completion of installation and can be made by cash, cheque, debit or credit card. Payment for supply only orders should be made when order is placed by cash, debit or credit card or bank transfer. All amounts payable by the Customer are inclusive of value added tax (VAT) charged at current rate unless otherwise stated. No personal information is stored on the website. When you send an enquiry via the contact form, the information is sent directly to the Love it Lawns Mail client.